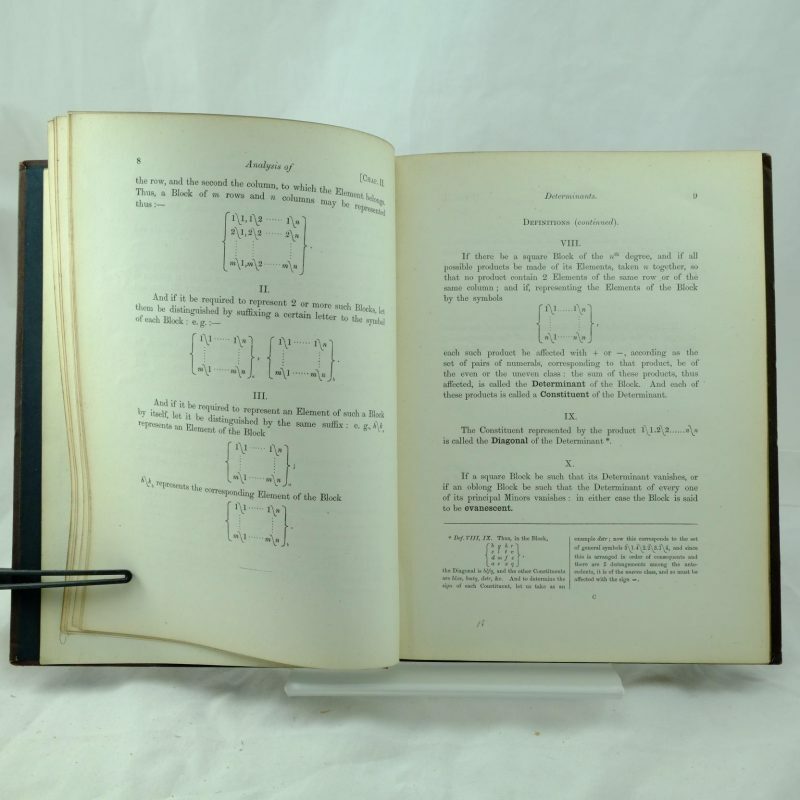 An Elementary Treatise on Determinants with their application to Simultaneous Linear Equations and Algebraical Geometry by Charles Lutwidge Dodgson (Lewis Carroll), Student and Mathematical Lecturer of Christ Church, Oxford. A scarce edition of Dodgson’s works of higher mathematical study and in a very good state. 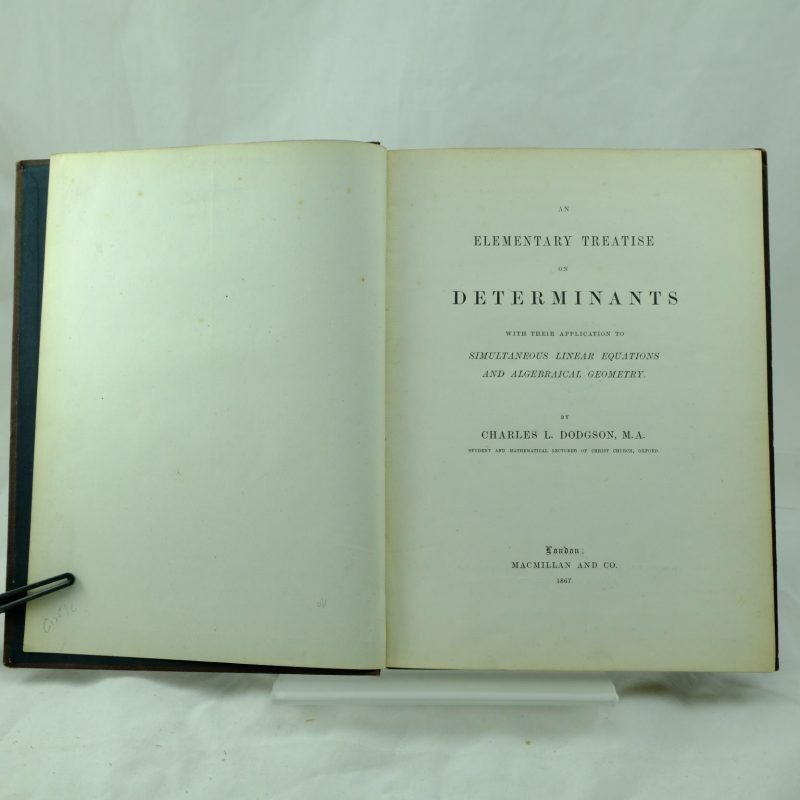 In his Diaries of Feb 27th 1865 Dodgson recorded that he had “discovered a process for evaluating arithmetical Determinants, by sort of condensation, and proved it up to 4 (2) terms”. (Determinants… are the sum of of the products of a square block of quantities. Their condensation, or reduction to simpler forms, facilitates the solution of simultaneous linear equations, and other similar problems.” Williams pp 39-14). Dodgson’s paper on the subject was read to the Royal Society on May 17th 1866 and was under repeated revision. 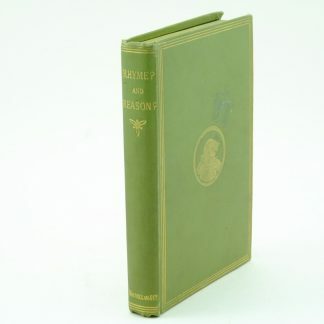 Dodgson commented that “this little book has given me more trouble than anything else I have ever written: it is such entirely new ground to explore”. 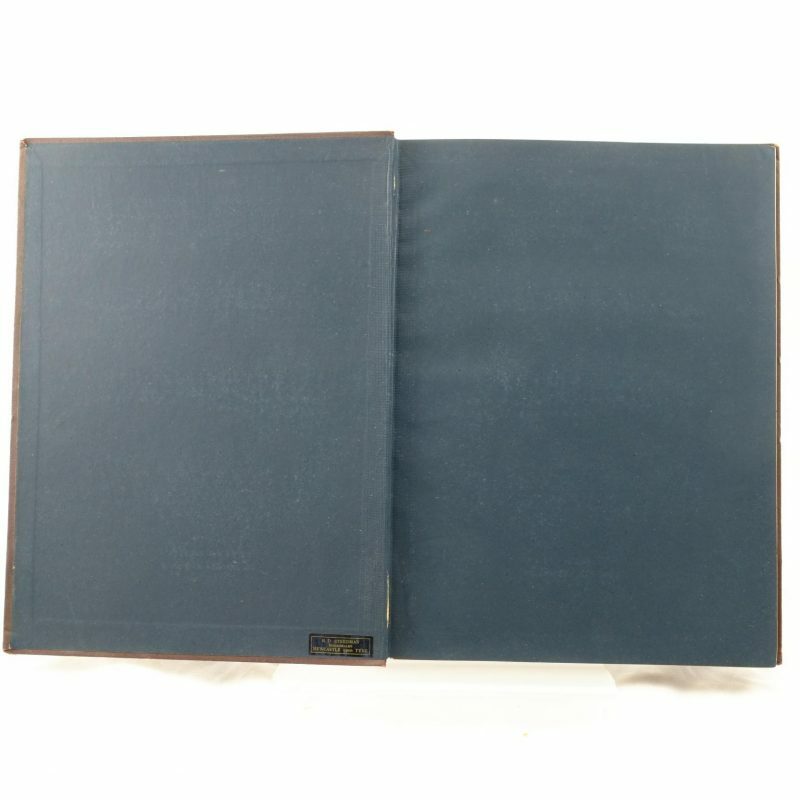 The number of first printings was low, approximately 750 although it is not known the exact number published. Provence: A copy of Denis Crutch who revised “The Lewis Carroll Handbook” bibliography. Williams, Madan, Green and Crutch 1957. 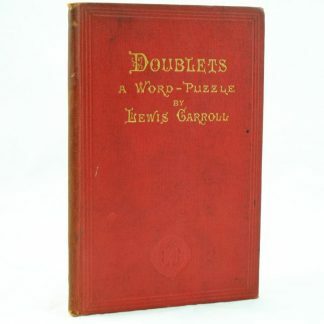 A rare find of one of Dodgson’s unique works. 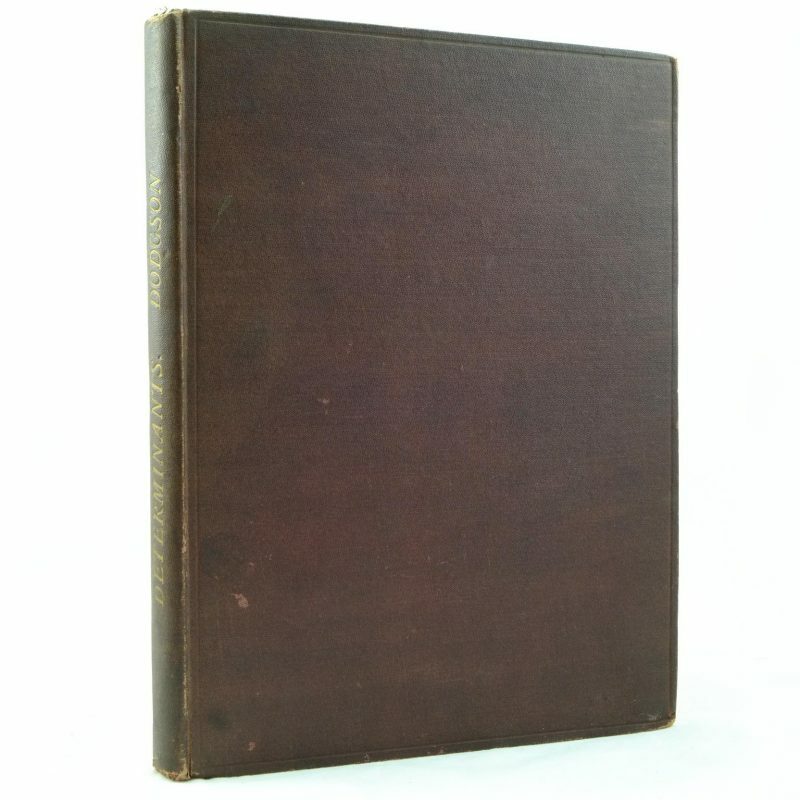 Original brown cloth with dulled gilt lettering on the spine. Covers lightly soiled, mild shelfwear and spine ends lightly chipped. The dark green end papers are clean with tiny booksellers stamp on the front free page. The contents are clean. 4to. 143 pp.